Globalist, Socialist Maricon of France has brought the nation to the brink of French Revolution 2.0 and almost half of Frenchmen think another revolution may be needed. 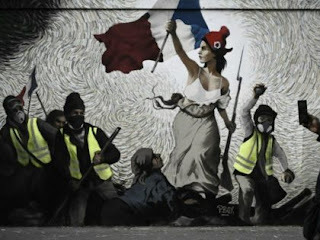 I speak of the Yellow Vests here. ...and defying French law & customs, making 'their' enclaves No-Go Zones.